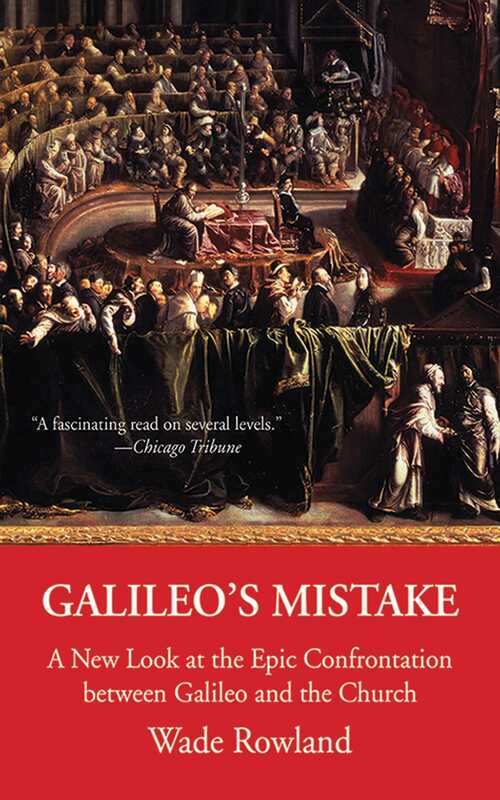 The modern understanding of the notorious 1633 trial of Galileo is that of Science and Reason persecuted by Ignorance and Superstitionof Galileo as a lonely, courageous freethinker oppressed by a reactionary and anti-intellectual institution fearful of losing its power and influence. But is this an accurate picture? In his provocative reexamination of one of the turning points in the history of science and thought, Wade Rowland contends that the dispute concerned an infinitely more profound question: What is truth and how can we know it? Rowland demonstrates that Galileo’s mistake was to insist that scienceand only scienceprovides the truth about reality. The Church rejected this idea, declaring that while science is valid, truth is a metaphysical issuebeyond physicsand it involves such matters as meaning and purpose, which are unquantifiable and therefore not amenable to scientific analysis. In asserting the primacy of science on the territory of truth, Galileo strayed into the theological realm, an act that put him squarely on a warpath with the Church. The outcome would change the world. Wade Rowland’s thoughtful exploration promises to disarm the most stubborn of skeptics and make for scintillating debate.